Happy Wednesday everyone! 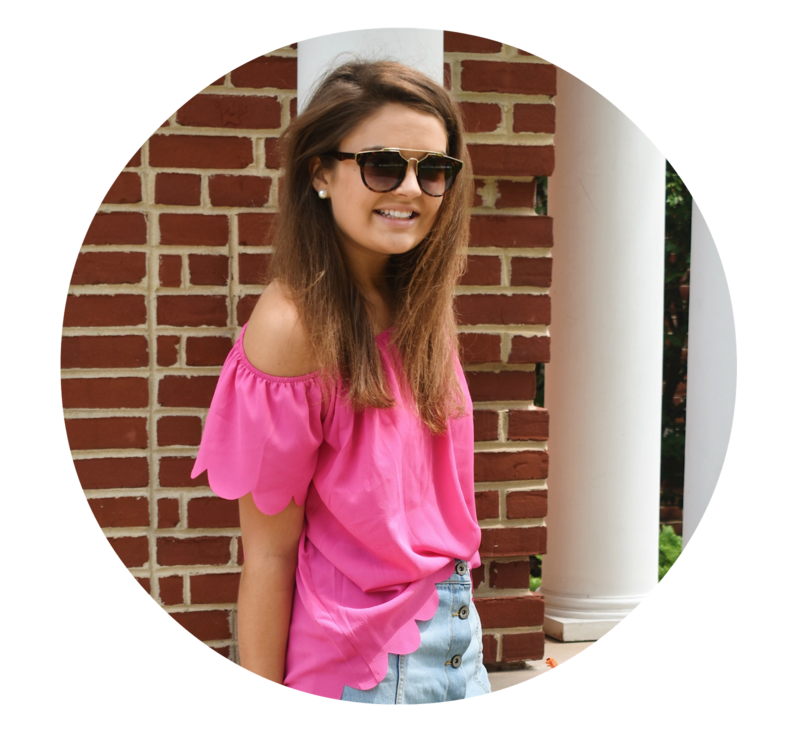 I'm so happy to share with you another fun giveaway with Ame & Lulu, one of my favorite accessories brands. This week I'm going to be giving away a panel tote to one lucky reader! The winner gets to choose from any of the available patterns and trust me when I say it is going to be a hard decision (the pink and navy is absolutely precious). I will be emailing the winner as well as announcing it in that days post so keep your eyes peeled. Enter below and good luck! Which pattern would you choose? OMG i love the sugar pattern! Love!! Oh my gosh the "Sugar" pattern is gorgeous! Thanks Caroline for hosting this giveaway! That tote is too cute! I'd choose the villa print! I would choose the Cricket print! 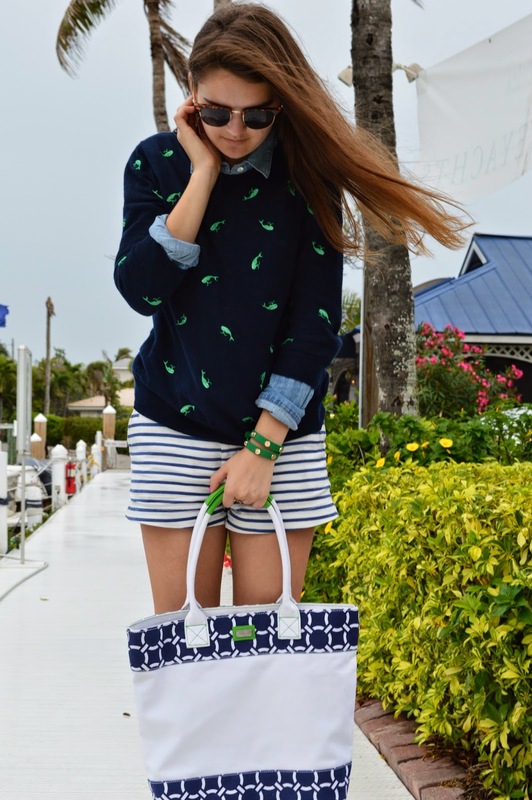 I am obsessed with green and navy combos. "Sugar" is adorable! Love it! Great giveaway! I won one of the Ame and Lulu Totes recently and I love it, it is so perfect! Thanks for this awesome giveaway!!! I would love the villa pattern! I like the villa pattern. okay you're right that actually was hard! i would have to choose either astor or villa, though they are all pretty great! I love the sugar pattern! They are all too cute though! Thanks so much for the giveaway! They are all adorable! My favorite is the "Sugar" panel tote! I would love to have that tote in Cricket!! J.Y. This is so hard but i love the willow! Awesome giveaway! I love the canary tote! Thanks so much for the giveaway! Also, loved your California pictures! I can't wait until I go to visit my friend in SF! These are literally all so perfect for summer when I'm looking to carry a bathing suit with me in case I decide to make a detour to the pool! I'm a sucker for anything navy. I ADORE the Sugar pattern! Canary is so cute! Love the color combo! The willow pattern is soooo cute! I love the Cricket pattern but the way you styled the Canary is so cute! I'm torn. Love the Astor pattern! So Cute! I absolutely adore the Villa (sky blue and navy) pattern. Too cute! Your outfit is too adorable Caroline! I absolutely love it! I love the pink and navy print! Sugar or Canary - love both! The villa pattern is so gorgeous! Plus, it's basically my school colors (UNC Chapel Hill) and my sorority colors (Kappa Kappa Gamma)! Awesome giveaway. My fingers are crossed. My boyfriend lives at the beach so I need an awesome tote. You are right--they are all so precious! I would probably go with the sugar or wish...but I love them all! !